Pioneers in the industry, we offer dust collector bag from India. We are the leading Manufacturers and Suppliers of Dust Collector Bags that are widely appreciated in the market for its extreme performance. These Filter bags are widely used in various Cement Plants, Steel Plants, Thermal Plants, Rubber Industry etc. These are manufactured using high quality fabric. 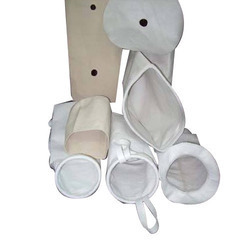 We also engaged in customization of these dust collector bags as per the requirement of clients throughout the world.